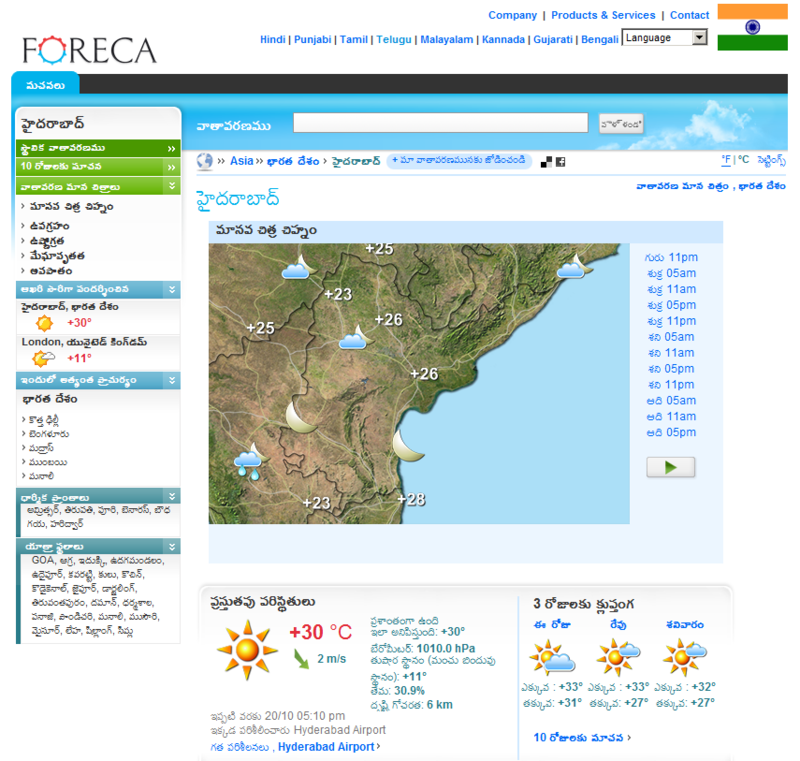 Foreca is a weather services data provider. Their website is available in multiple Indian languages, including Telugu. There are few spelling and grammar mistakes. And, in some cases, the choice of words made the text feel unnatural. Anyway, it is nice to see more and more websites coming up in Telugu.